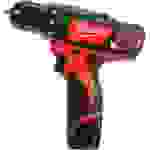 For homeowners, apartment dwellers, or even just tinkerers, few tools are as versatile as a cordless power drill. Commonly known as drill-drivers because of the multiple jobs they do, you’re probably more likely to see one of these sinking screws into something rather than drilling holes. There’s a lot to think about when it’s time to buy one, too. Battery life, size, weight, versatility, and price are all important. 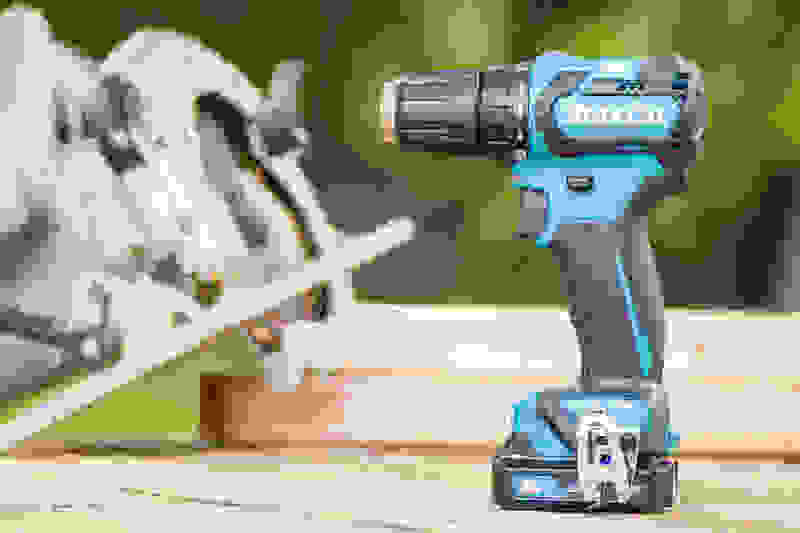 So we rounded up several drills from popular brands to find out their differences and found the Makita FD07R1 (available at Amazon for $153.72) was the best of the bunch for the average do-it-yourselfer. Of all the cordless drills on the market, we narrowed the field to mostly 3/8-inch chuck drills. These are well-suited for any light- or medium-duty household task. As we found by trying a couple bigger guns, drills with 1/2-inch chucks are more capable, larger, and often a lot more expensive. Brushless motors also cost more, but they pay off with powerful, efficient performance. 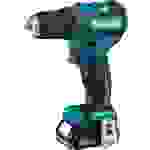 This Makita drill has a very short snout and a slender, comfortable grip. Its lightweight, excellent balance in your hand, and compact profile make it easy to maneuver into tight spots. But it packs big-drill muscle. Our hardest test was boring through lumber with a spade bit, and this little Makita powered right through it without binding up or getting tired. The key to its strong showing is the powerful, efficient brushless motor. Other details that made the Makita stand out are the integrated LED for lighting up work, its high-quality feel in your hand, and hard-shell carrying case. The Makita family of cordless tools runs deep, too. As a starting point, this Makita drill is outstanding. Even veteran tool-slingers will be impressed with its capabilities and the eager, responsive way it tackles jobs and it’s great-handling design. This half-inch chuck DeWalt drill blew everything else away. It feels great in your hand and has lots of torque. The 20-volt battery works with a lot of other tools in the lineup, and it’s a responsive, thoughtfully designed piece of equipment. There’s a light, a belt clip, and even rubber stand-offs on the body to prevent it from marring surfaces. 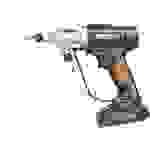 This drill and its larger battery capacity and voltage shrugged off every test, from boring with a spade bit to delicately sinking screws into wallboard. 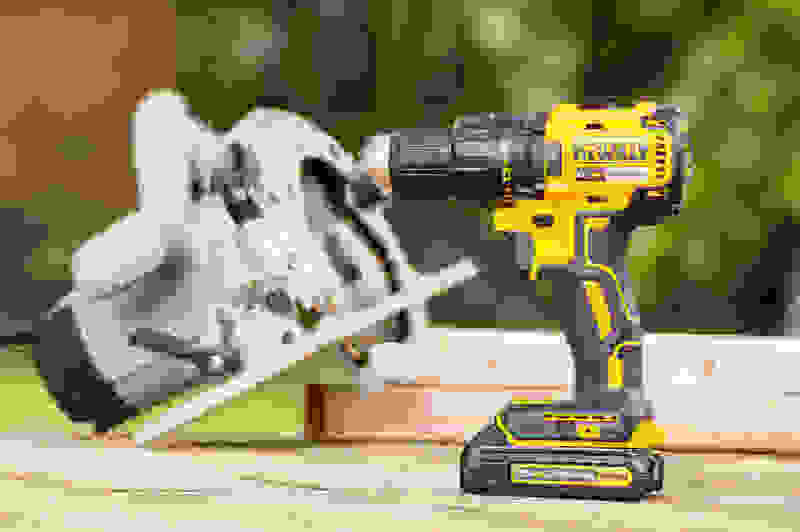 It’s a bit bigger and costs more than the other drills we tested, but for an intermediate or advanced DIY homeowner, jumping straight to this DeWalt is the most likely way to love your job. Hi, I'm Dan. For 17 years, I've been the proud owner of a home built in 1890, which has kept me busy with small and large upkeep and remodeling projects. 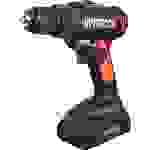 I've always found cordless drills to be an indispensable tool, whether I'm hanging wallboard, assembling furniture, or even heavy-duty tasks such as boring holes for new wiring. All these years of fix-it projects have helped me understand what is good and desirable in a tool. This means I think about how the average person approaches any tool or situation. To get a clear picture of these drills’ performance, we set up tests ranging from easy to hard. We drove wood screws into 2x4 lumber to get a feel for how the drills put their torque to work. We tried the different torque settings to understand the sensitivity of the adjustment range, and also drove screws on the full-power “drill” setting. That measured each drill’s speed and strength. We also drove screws into wallboard with a 2x4 behind it to mimic the process of hanging the material as part of a common remodeling project. Driving self-tapping screws into 16-gauge sheet metal is a different kind of challenge for drills, and we assessed this group’s capability at that task, as well. Drilling tests included a commonly-seen 1/4-inch bit, a larger 1/2-inch bit, and a challenging 1 and 1/8-inch spade bit for boring large holes. We drilled and bored through 2x4 lumber and wallboard, and skipped the spade bit while drilling 16-gauge metal. A big factor in successfully drilling in a smooth, quick fashion is the quality and condition of your drill bits. Dull, damaged bits are going to need more muscle from any drill, while properly sharpened and cared-for tools will make jobs go more easily. Ryobi is sort of a Home Depot “house brand,” and its tool ecosystem sharing common battery types is extensive. Ryobi tools are available elsewhere, as well, and the company lent us the P825 Starter Combo Kit, which includes a large-capacity battery, a circular saw, drill, charger, and carrying bag. This 1/2-inch chuck drill hung in there with the outstanding DeWalt DCD777, the other 1/2-inch chuck drill that we tested. 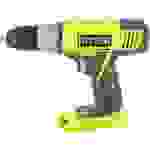 No matter what we threw at it, the Ryobi handled the task--drilling, driving screws in wallboard, wood, or even self-tappers in metal, and boring with a spade bit, all no problem. This was the biggest, heaviest drill we tested, with a big battery (if you don’t buy the kit, you’ll need to purchase the battery separately). It pays off in results. DeWalt makes an excellent drill. This 3/8-inch chuck drill feels good in your hand, with good balance and thoughtful design. There’s an LED for lighting up work, a belt clip, and rubber bumpers to protect any surfaces you might set the drill down on. Responsive and powerful for its size, the DCD710S2 is a great homeowner drill for most general tasks. It was great in sheetrock, driving screws, and even drilling. It ran low on oomph when boring through thick material, but it didn’t mind running a big 1/2-inch drill bit. In addition to the strength, the DeWalt is easy to control when you want just enough power for delicate, precise results. 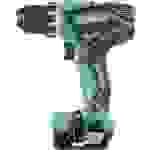 For most homeowners, this is all the cordless drill you’ll ever need. It’s compact and easy to handle, and a great value as tested with a pair of batteries, a charger, and a contractor bag for portability. Milwaukee is a popular brand that offers a wide range of tools. There were some nice touches, including the LED “fuel-gauge” display on the side of the body. It lights up when you press the trigger, providing an ongoing snapshot of charge level. Other drills have similar readouts on the battery, but you have to push a button for the information. The controls are slick and smooth to operate, and its compact size makes it easy to handle. In fact, the battery for this Milwaukee was the smallest physical package of the group we tested. That tiny size makes us suspect there’s not a lot of power reserve, especially when you start challenging it with harder tasks. It also makes it harder to stand the tool up on its battery when not in use–it serves as a narrow foot and makes the drill prone to falling over. The Milwaukee is heavier than some of the smaller drills, even though it’s not much bigger. The extra weight, combined with a thicker grip, may fatigue your hands sooner. This drill proved unsuitable for the more demanding tests. It doesn’t have enough torque for boring with a spade bit. It took a long time, binding several times in the process. Stick to the smaller stuff and you’ll be okay. Worx tools are made by Positec, who also make Rockwell and Bosch tools. It’s an up-and-coming new line with some good diversity. 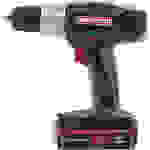 The 20-volt battery is common across the product line, so this 3/8-inch drill isn’t an island unto itself. Design and build quality are good: Experienced people created this drill. There is a strange lag when initially responding to the trigger, but it’s otherwise responsive. The controls are smooth, it’s not too heavy, and there’s enough power to tackle most tasks. It hung in there impressively for our hardest tests, though it’s best suited for light- to medium-duty jobs. Small and easy to handle with excellent balance, the Hitachi is a nice drill. While its 300 inch-pounds of torque seems impressively strong, it didn’t feel so musclebound in practice. Boring with a spade bit caused it to heat up noticeably, and it took much longer to get through a 2x4 than our best-performing drills. Adjusting the torque limit settings provides finer control than some of the others—we could set it to sink screw heads exactly where we wanted them in drywall, for example. The older-style electric motor probably limits performance compared to the similar Makita with its very strong brushless motor. For light-duty homeowner tasks, the Hitachi is a fine choice, but there’s more to be had for the same money, especially if you shop sales. This isn’t a bad drill, and Craftsman tools have been a safe choice for decades, but this was the lowest-featured drill in our test. It’s made well enough and the 19.2 volt lithium-ion battery fits in with the crowd, but that’s about it. It only offers a single speed, which is geared lower and spins at a lower maximum RPM than the others. It did power through easy tasks, easily driving screws into wood and wallboard and drilling smaller-diameter holes. It also did surprisingly well when boring through a thick material with a spade bit, but it did take longer than other drills because of its low speed. Sometimes, that limited top speed is an asset, providing fine control; other times, such as when drilling into metal, you’re left wanting. The charger feels flimsy and awkward to use, too. There’s no shame in going with the Craftsman, but you’re missing out on handy features such as a light, belt clip, and two-speed capability. There’s also no storage case or bag, and there are serious questions about the long-term health of parent company Sears. 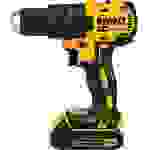 Worx has created the “Switchdriver,” a drill with a quick-change trick that handy homeowners will appreciate. The ability to switch between, say, a drill bit and a screwdriver bit without breaking the flow of a project has a certain charm. It shares the same 20-volt battery as other tools in the Worx line, and it appeared well-made and thoughtfully designed. During testing, it became clear that this tool is out of its element when tasks get serious. It hung in there, though, driving screws into drywall and wood, and drilling common-sized holes. Because it uses a quick-change bit mounting system instead of a traditional chuck, it may not work with the bits you already have. It does have adjustable torque control that provides good control, though we noticed a delay in initial response to the trigger, and less fine speed adjustment than some of the other drills. In your hand, the balance seems a little off because of the longer snout, but you adapt during use. If you’re building flat-pack furniture or hanging curtain rods, the Switchdriver will do well. Its rotating head likely limits how powerful it can be and how durable it will be. Stick to what it’s best at, and you’re likely to enjoy years of service. 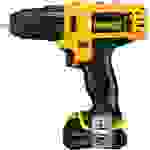 One important thing to think about is that buying a cordless drill can be the first step in committing to an entire universe of cordless tools and accessories that work with a common battery design. It's worth checking out what else those lines include to understand which company offers the stuff that appeals to you the most. You can purchase drills without the battery or charger included; handy if you've already got those items, and it saves you some money. We focused on drills that included at least a single battery and charger, so that it would be useful out of the box. Some of our selections are available as a kit with other additional items, such as the Ryobi combination of circular saw, drill, and charger. It turns out there aren't too many independent cordless drill manufacturers. The biggest brands are owned by large conglomerates. TTI makes Milwaukee, Ryobi, and AEG hand tools, among several other brands. DeWalt, Porter Cable, and Black & Decker are all made by Stanley Black & Decker. Despite the corporate ownership, each product line offers distinct products. Bosch and Skil are the same company, and both offer a drill in this class. The Bosch is compact and built well, but it’s also expensive, over $150, and its maximum torque is significantly less than some of the other choices, so we left it off the list. Skil makes an affordable 12-volt drill kit, but it’s only got a single-speed gearbox and uses older Ni-Cad batteries, so its performance and value are both limited. It, too, was left off the list. Porter-Cable, also popular, does not appear to offer a 3/8-inch drill.